eCampaignPro Real Estate eBlast Marketing, Digital Advertising Campaigns for Real Estate Recruiting, Real Estate Agent Marketing, Mortgage Marketing, Loan Officer Marketing, Mortgage Leads, Real Estate Lead Generation, Real Estate Websites, Real Estate Social Media, Facebook Lead Generation, Real Estate Google Advertising, Pay Per Click Campaigns, Real Estate Landing Pages. 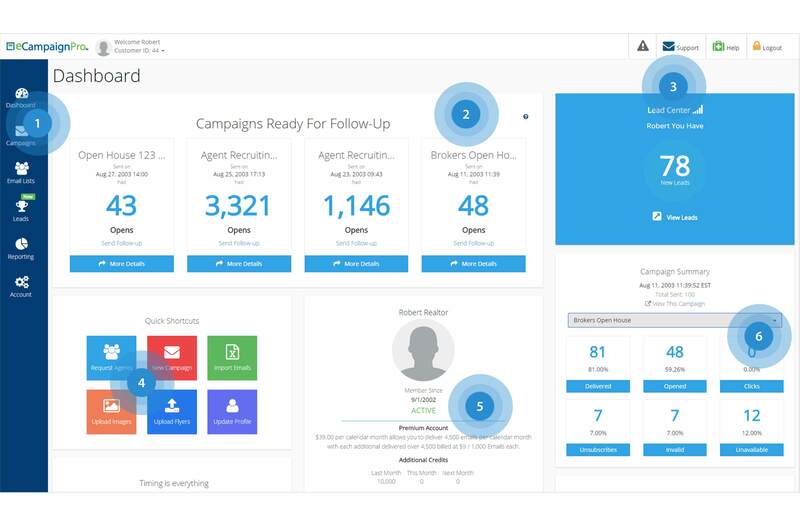 Build targeted agent to agent email marketing lists, send beautiful email marketing campaigns and track your results from an easy-to-use intuitive dashboard. Find then most important features easily without searching. Quickly follow-up with recipients that have opened a previous campaign. Access your favorite features quickly, with fewer clicks. 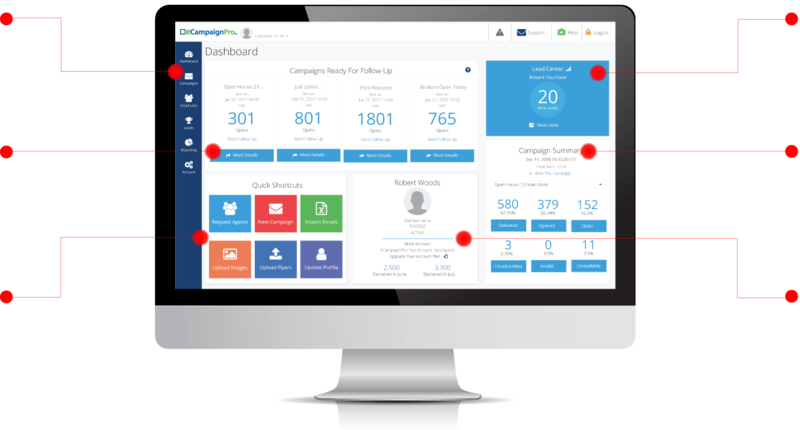 See a count of leads that were generated from your campaign activity. Cycle through all your campaign statistics right from your dashboard. Quickly see account status, details and easily upgrade. Developed in 2001, eCampaignPro is a self-service email marketing tool built specifically for real estate professionals who want to create great looking emails ,distribute them to their target demographic, and track the results all with a few clicks of a mouse.